Want to learn food photography and food styling from the comfort of your own home? EAGER TO FIND OUT HOW TO GET THE MOST OUT OF YOUR CAMERA AND DISCOVER YOUR BEST LIGHT? Learn best by practicing, doing and being held accountable? Then my online food photography, food styling and visual story telling course is for you! Unlike most other online food photography and food styling workshops, this e-course is LIVE so that I can be there with you and support you on your journey, every step of the way! The Spring and Autumn online food styling courses completely sold out as did the one the one this past Winter, giving me lots of online teaching experience and consequently a really good understanding how best to support students through the course. With some new features for Spring 2019, this is the best online course I’ve ever created and I’m so excited to work with you alongside a small, but mighty student group. Are you in? My aim is to give you the knowledge and confidence to take the food shots you want and create a visually recognisable style! Following the lovely feedback from previous students, I’d be honoured to share this season’s lessons with you (outline below). So if you’re curious to find out more, if you wish to arrange a discovery call or want to book your spot, then please do read on :). WHO IS THIS ON-LINE INTERACTIVE FOOD PHOTOGRAPHY AND FOOD STYLING COURSE FOR? Are you new to food photography and food styling and eager to kick start your learning process? Have you been taking food photos for some time, but find that you just can't get the images you really want? 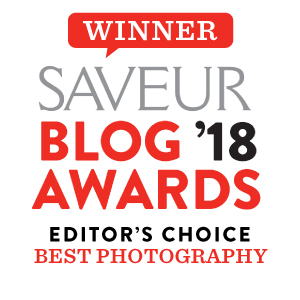 Or are you a long-term food blogger who has plateaued and is eager to take their food photography and styling to the next level? Great because this interactive food photography e-course is for you! WHAT WILL BE COVERED DURING THE ON-LINE INTERACTIVE FOOD PHOTOGRAPHY, STYLING AND VISUAL STORY TELLING COURSE? CAMERA FOUNDATION - How to shoot in manual and master your camera like a pro. CAMERA GEAR - What to purchase and why? WHEN WILL THE FOOD PHOTOGRAPHY E-COURSE TAKE PLACE? Classes start at 12noon BRITISH SUMMER TIME (BST). Please fill in the contact form below to get lesson duration and more info. WHAT MAKES THIS FOOD PHOTOGRAPHY AND FOOD STYLING COURSE DIFFERENT? I will be there LIVE online with you and your fellow students to answer your questions, guide your learning, show you how to style and shoot so that you can learn in real time with me there for you virtually. This way I get to respond to your needs in the moment allowing you to develop your skills and build your confidence as if you were with me in my little London studio. You also get a written lesson guide for each class so you can digest the information after the lesson ends. There are lots of pre-recorded food styling courses but none where you get to learn alongside your teacher and fellow students in a small group setting, so don't miss out. I have been a teacher in one capacity or another for 25 years! I have taught food photography to well over 100 students ranging from complete beginners and intermediate students in person and virtually, 1-2-1, in small groups and in large group settings. You can read my testimonials here. I work professionally as a food photographer, food stylist and prop stylist. Still not sure? Then I advise you tune into my podcast to get a really good sense of who I am and whether you like my style. The best thing to do is to block the teaching dates out in your diary. However, I will record each lesson; you will have 1 year unlimited access to the classes. In addition you get a written lesson plan with each class to further help your learning before, during and after our online class. 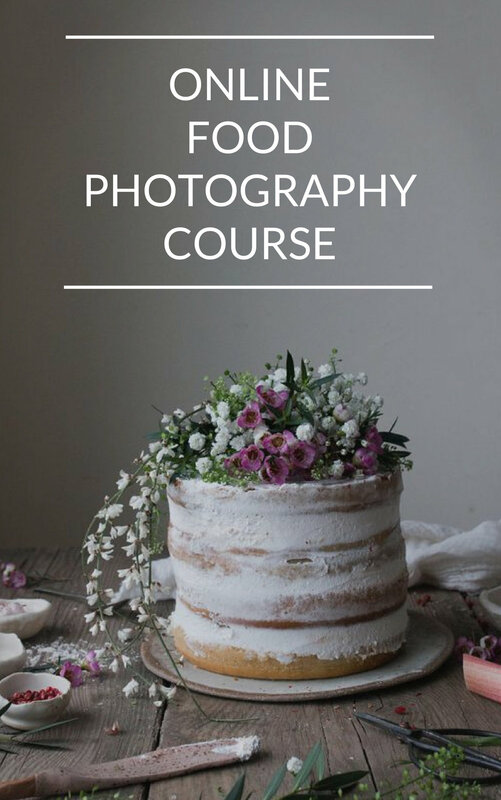 WHAT DOES THE E-COURSE FOOD PHOTOGRAPHY COST? Prices start from £389 including the early bird offer (which expires on/by 06/May/19). Payment plans are available. For details please don’t hesitate to get in touch via the form below. DO I NEED A DSLR TO PARTICIPATE? No, you can use a point and shoot, mirrorless camera, an iphone camera or anything else you've got to hand. However you'll get the most out of this course if you have a DSLR or mirrorless camera. WHAT ELSE DO I NEED TO COMPLETE THIS COURSE? You need an excellent internet connection and a computer! Apart from that for the lesson on editing, it's helpful that you have Lightroom. IS THIS COURSE A LOT OF WORK? The course is what you make of it. If you are really committed to hone your craft and up your game, the more time you invest in the learning process and complete your homework, the more you will get out of it. That's not to say there's anything wrong with doing the LIVE lessons and leaving the homework completion for a later time/date. It's up to you. Monday, June 3rd at midnight BST. If you'd like the full course outline, if you'd like to book a non-committal discovery call or if you want to secure your spot, then please complete the contact form below, making sure you submit the correct e-mail address ;). I can't wait to hear from you. Older PostEASY VEGAN GRANOLA RECIPE WITH POACHED RHUBARB + A COOKBOOK GIVEAWAY!